Is Australia cutting its aid budget or keeping it as is? 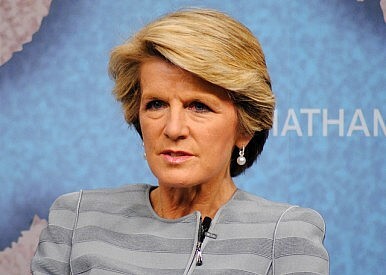 Given that even the foreign minister Julie Bishop seemed wrong footed on exactly what Australia’s ongoing aid commitments might entail it is a reasonable question. She has since said that there will be no more foreign aid cuts, guaranteed continuing aid to devastated Vanuatu, and said she issued a “please explain” to Treasurer Joe Hockey after possible further aid cuts were suggested in the media for the May budget. In fact, there has been talk in the media of a rift between Hockey and Bishop and talk dating back since before the recent leadership spill that she could challenge Tony Abbott as prime minister, although she has remained publicly loyal. Bishop was, however, dismayed by any suggestion of further aid cuts. She promised ongoing aid to support devastated Vanuatu on a trip there a few days ago. The Pacific area remains one of Australia’s main aid recipients. Australia cut its aid budget by A$11 billion ($8.6 billion) last year and was attacked by the aid industry for the move. It dropped to 20th position in terms of its generosity out of the top 28 wealthiest nations, from tenth previously. “We don’t like having to do this on foreign aid, but we have offset all of our new spending,’’ said Hockey at the time. “So, if Labor helped, we would see a whole different story and we would be able to provide more support for this and other programs.” Now that Australia will not be cutting aid it remains to be seen how savings will be made in seven weeks’ time when Tony Abbott delivers what he says will be a “dull” budget. Finance Minister Matthias Corman confirmed there would be no new May cuts and praised Bishop’s running of the aid program. The government has however announced a new $140 million program, the innovationXchange project, which will apparently draw on private sector experience to improve the effectiveness of Australia’s aid. Partnering with former New York mayor Michael Bloomberg’s charity Bloomberg Philanthropies, SEED Pacific, and the International Reference Group in the Data for Health Project, Australia will work to help 20 nations improve basic health records and will contribute A$20 million – about a sixth of the total budget. Of that, $A15 million is to come from the innovationXchange project budget and A$5 million from the health section of the aid budget already in place, according to The Australian. It is not without controversy given that one of the board members is well-known Danish climate change skeptic Bjorn Lomborg. The current government’s views are largely in line with Lomborg’s, despite a recent CSIRO report that made dire predictions for Australia were climate change issues, such as the cutting of greenhouse gases, not addressed.